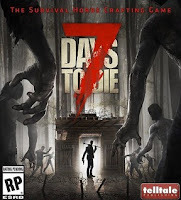 In 7 Days to Die, you will be rewarded with loot for killing zombies. 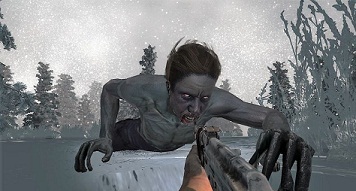 There are many different types of zombies that drop different type of loot. Some of them are at different speeds and strong. In our guide we tell you everything you should know about the zombies in 7 Days to. - Feral Zombie: He is the leader of the zombies who only shows up every seven days and is particularly strong. The good thing about this opponent is that he drops also particularly good loot. So you need to take with you several firearms. If you are still weak and have no quality firearms, then you should definitely keep this opponent first. - Infected policeman: You have to be a little more careful with this zombie, as he goes around with a firearm. With the acid he sprayed, it can add you high damage and also damage the blocks around. As soon as he sees you, he runs toward you to use up his acidity. Listen closely, and you will be able to escape in time and then run as fast as you can. - Spider Zombie: This zombie can climb on walls and shouting loudly at Encounter, which are thereby summon a zombie horde. Try not to let him catch and always have an escape route ready to escape from the horde, if you still want to take his loot. - Zombie Dogs: They are just very fast and run away and does not always help, so avoid this type of zombie even in days, except you want to farm their loot. Most zombies leave similar loots after they were killed. However, there are exceptions and the nurse is there as a valuable source for special loot.